Dress up your designs with the Furry Friends Dies by Concord and 9th. 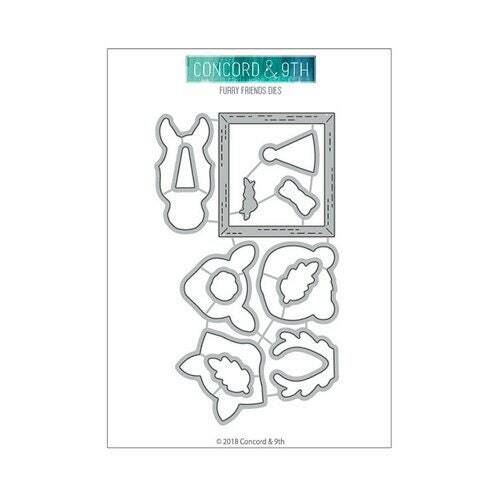 The package includes 13 thin metal dies that coordinate with the Furry Friends stamp set (sold separately). The dies are made in the USA and can be used with most die cutting machines (also sold separately). The dies measure .375" x .75" to 2.1" x 2.25". Dimensions: .375" x .75" to 2.1" x 2.25"